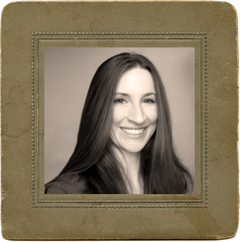 Visible Roots is owned and operated by Emily Sparkman, a researcher with a lifelong passion for the origin of things, from ancestry to linguistics, ancient history, psychology and archaeology. She holds a B.A. from Wake Forest University, a Masters degree from Western Carolina University, and has more than twenty years of experience as a genealogical researcher. As a member of the Association of Professional Genealogists, we adhere to a strict code of ethics, as outlined here.